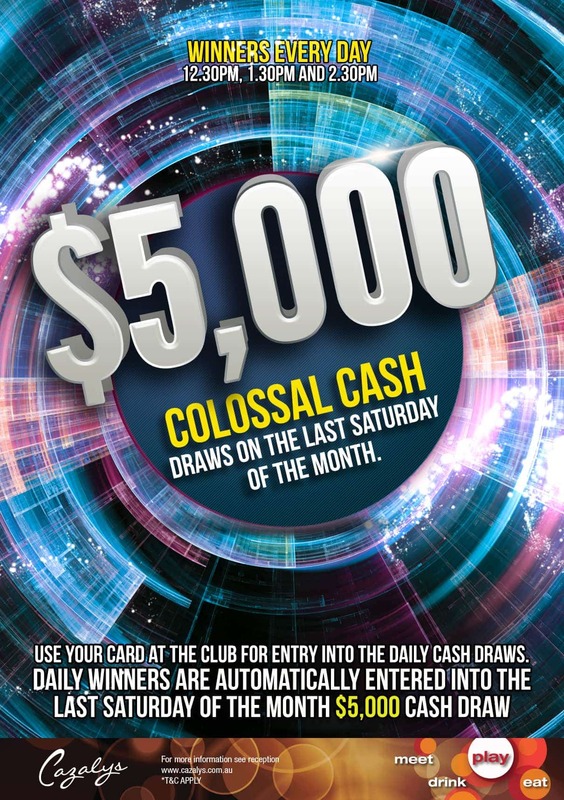 All daily winners of our Colossal Cash Wheel for the month of April are entered in the $5,000 Colossal Cash Draws today! There are 5 x $1,000 cash prizes to be won today between 12.45pm and 2.45pm. T&C apply.